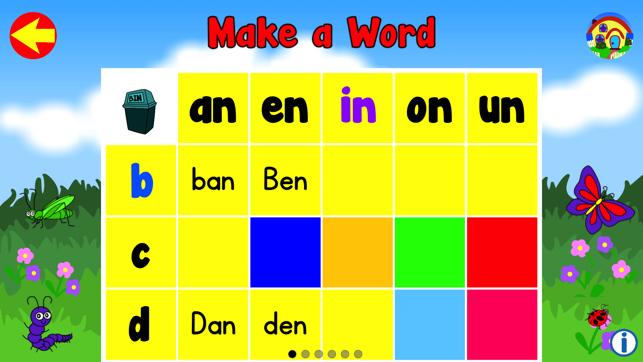 In Ricardo’s Letter N Word Grid™ app, 34 short vowel 3-letter English words, are introduced to children, in an engaging and interactive way using Ricardo’s English Word Grid™ phonics-based learning system. 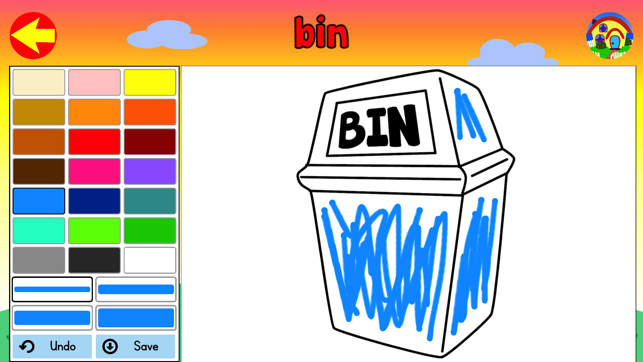 Great for vocabulary and pronunciation skills. It is unique and revolutionary in education, as each word is taught in a very organised and systematic way. 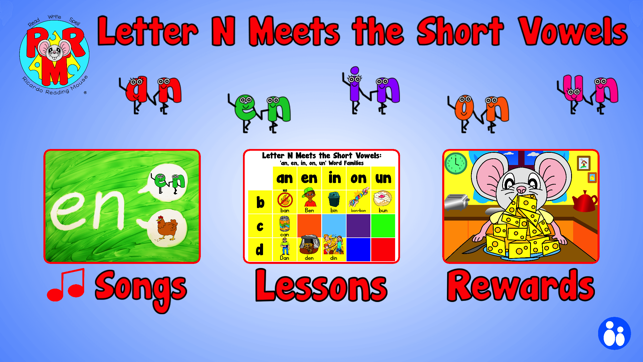 The app relates to Chapter 5 of my first published children's book, ‘Learn to Read and Spell with Ricardo’s English Word Grid™ Volume 1 Reference Book’ where the Letter N Meets the Short Vowels to make 34 ‘an, en, in, on, un’ rhyming words. Excellent for teaching ESL and relates to Foundation and Year 1 Level Content Descriptions in the Australian English Curriculum. 3. 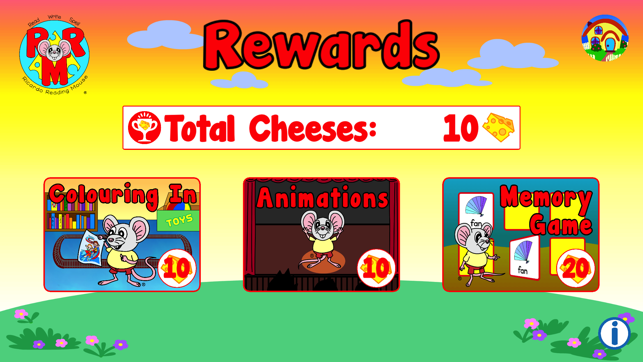 Rewards - children complete lessons to earn cheeses to purchase colouring-ins, Ricardo animations or memory card games. Children will be thoroughly immersed with ample opportunities to develop their ability to read, write and spell all 34 short vowel 3-letter ‘an, en, in, on, un' words in the English language. 1. 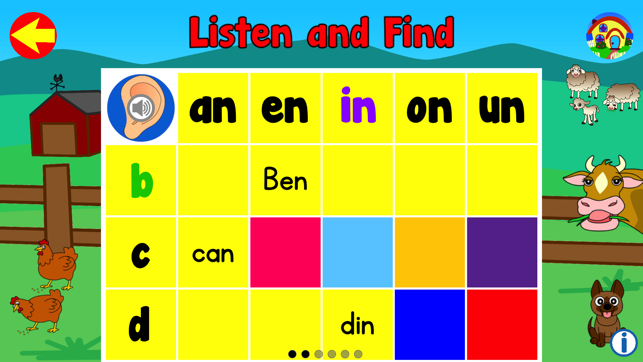 The app is part of a phonics-based learning system providing lots of opportunity, for children to practice and further develop their early literacy skills – letter recognition, letter-sound association, onset and rime word building and decoding skills. There is excellent research supporting how important phonics-based programs are for learning to read successfully. 2. No in-app purchases or live streaming, I am extremely aware of your child’s online safety and protection. 3. A healthy balance of ‘screen’ time with “active play time” is encouraged? How you ask? Check out the Ricardo Animation Rewards section. In each animation, Ricardo is doing something active as a gentle reminder to children of the fun, they can have when they simply enjoy running, flying a kite, playing hopscotch and watching bugs. Movement-based activities, are important for promoting the development of eye-hand co-ordination and fine motor skills which are essential for successful reading, writing and spelling. 4. 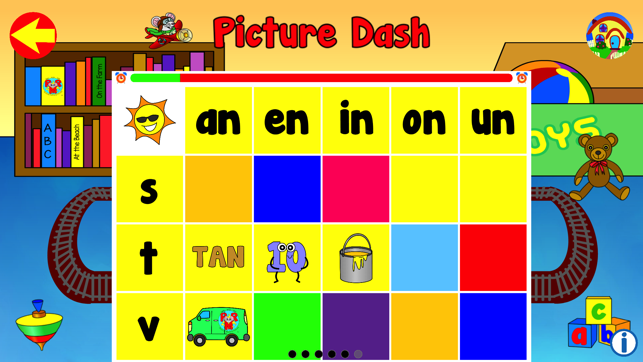 Children will enjoy exploring the interactive touch events throughout the app ie. word family musical characters, marching characters and various animals and toys next to the word grids in each lesson. 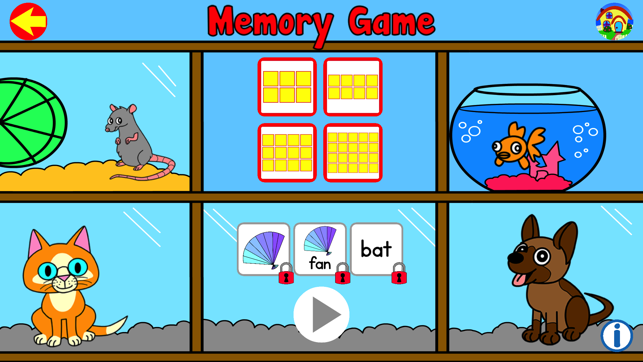 NB: Due to screen size issues, the touch events, next to the word grids, in the lessons section are disabled for ipads. 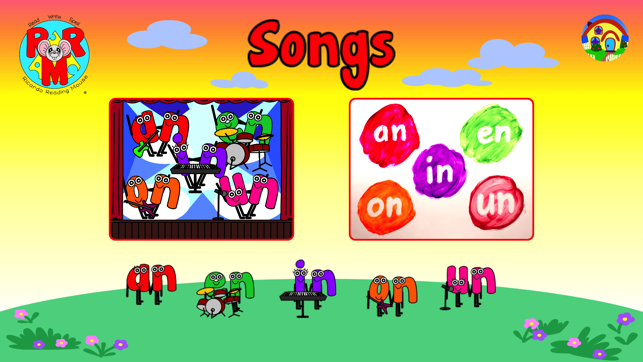 Children all over the world will enjoy learning their 3-letter 'an,en,in,on,un' rhyming word family words using this app and book together. Visit our website www.ricardoreadingmouse.com.au to check out and purchase our exciting and growing range of children's educational resources. 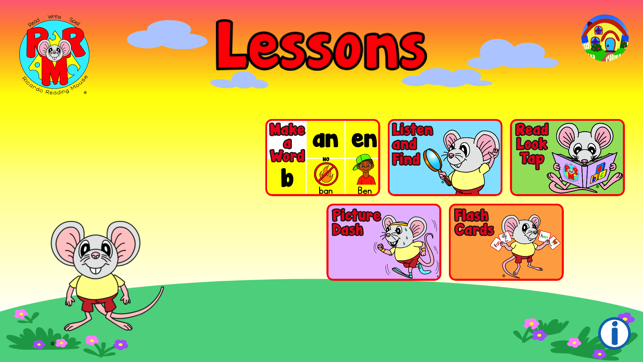 Subscribe to Learning with Ricardo Reading Mouse® Youtube channel: original ABC songs, talking books, animated handwriting videos & more! Ricardo Reading Mouse, his character and RRM logo are all registered trademarks.